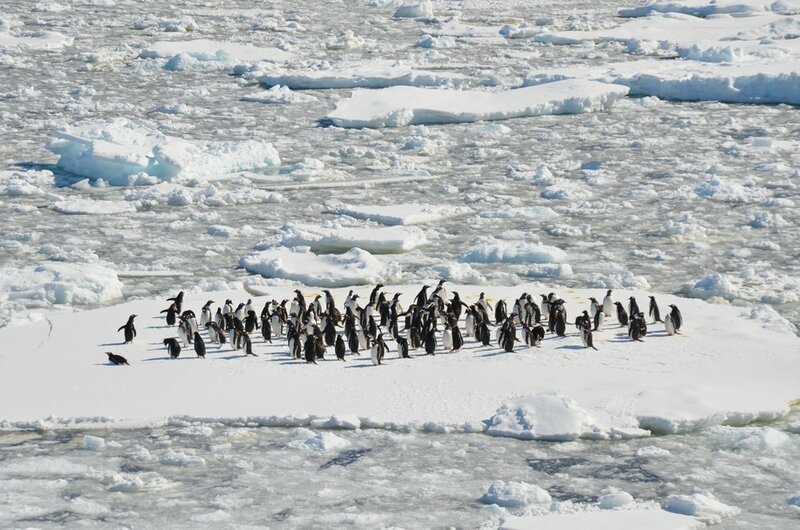 Antarctica is a remote, magical place that will dazzle you with its awe-inspiring beauty. The peaceful bays are dotted with colossal icebergs, deep fjords and massive glaciers, all of which are juxtaposed by the sharp, snowy peaks which jut out of the sea. In the austral summer, large numbers of penguins, whales, seals, and seabirds congregate along the Antarctic Peninsula to feed and reproduce, providing endless photo opportunities. Set foot on the seventh continent, where adventure awaits in Antarctica. Cruise at sea level with Zodiac boats and feel the spray of seawater on your cheeks. Follow in the footsteps of early explorers as you hike on Antarctic soil. Bring home indelible memories of one of the most spectacular places on earth, the coldest, highest, windiest, driest and more remote continents: Antarctica. “We believe Antarctica is about being there - not getting there”. Day 1 Feb 25, 2020 (Tue) - Start of the Air-Cruise (D). You will arrive in Punta Arenas, Chile before 2 P.M.
Day 2 Feb 26, 2020 (Wed) - Flight to Antarctica from Punta Arenas to King George Island. 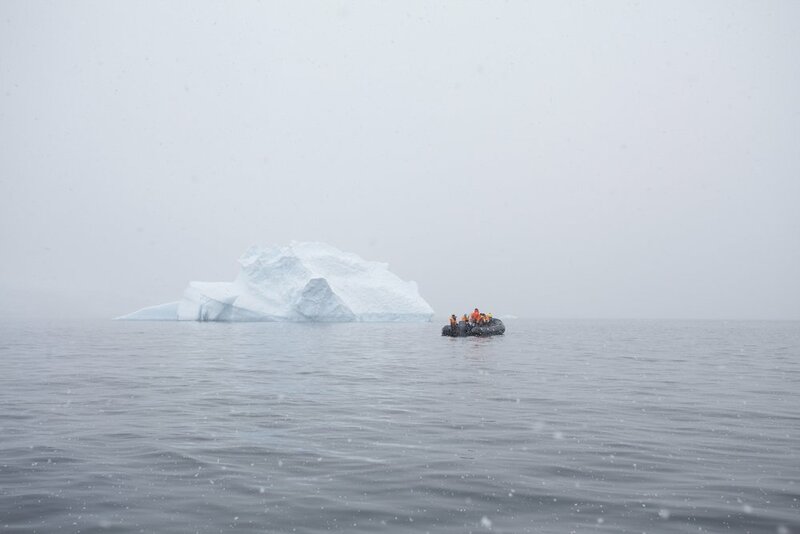 Day 3 to Day 6 Feb 27 – Mar 01, 2020 (Thu, Fri, Sat, Sun) - Exploring Antarctica sailing along ice-filled fjords and among spectacular icy fjords, while enjoying the company of seabirds, penguins, seals and whales. Day 7 Mar 02, 2020 / Mon - Scheduled return flight from Antarctica to King George Island. Day 8 Mar 03, 2020 / Tue - End of the Air-Cruise. Group transfers to the airport/hotel on the Day of the Scheduled Return Flight from Antarctica, and group transfers hotel/airport on last day of the air-cruise. Cruise ship along the Antarctic Peninsula as indicated in the program corresponding to each voyage. Daily buffet breakfast and lunch on board ship offering a wide choice of dishes. Daily dinner on board ship offering a choice of three main courses. Wine, beer, juice, and soft drinks served with lunch and dinner on board ship. Coffee, tea, chocolate, cappuccino, water and snacks on board ship throughout the expedition. All guided shore excursions, lectures and entertainment on board. Rental fee for waterproof boots needed for Antarctic expeditions. Contingency Plan as described further on. Optional Pre-Cruise Santiago, Vina’ del Mar/Valparaiso and Matetic Vineyard extension available; ask for details. Land tour price based on two persons sharing a double room is $1740.00 per person. Optional Post-Cruise – Buenos Aires and Iguazu Falls Extension. Land tour price based on two persons sharing a double room is $1845.00 per person. Accommodation, meals, excursions and transfers other than those included in the itinerary and the Contingency Plan corresponding to each voyage. Specifically, dinner in Punta Arenas upon return from Antarctica is not included. International flights to Punta Arenas round trip and any pre and post cruise extensions quoted separately.